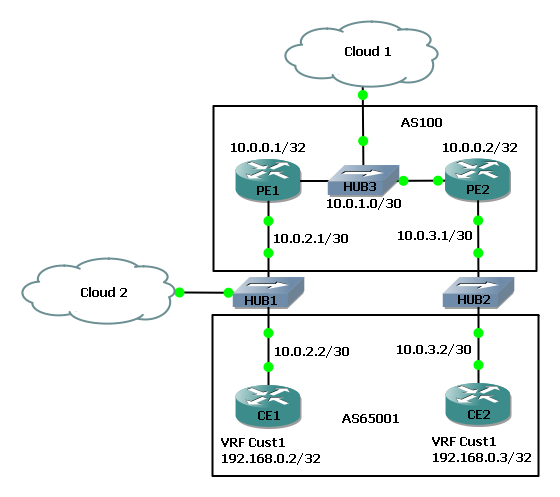 In this example topology CE1 and CE2 represent a managed service provider customer, MPLS is being run down to the CPE using labelled eBGP VPNv4 advertisements (Inter-AS Option B, no LDP or BGP IPv4-LU). Cloud 1 on the left is a VirtualBox Ubuntu virtual machine. 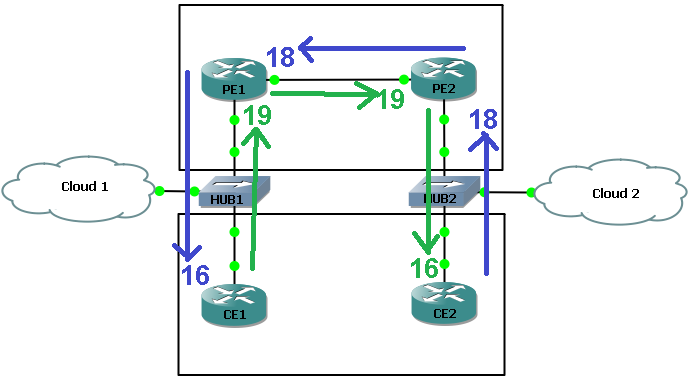 All routers are Cisco 7200s running 15.2(4)S6. 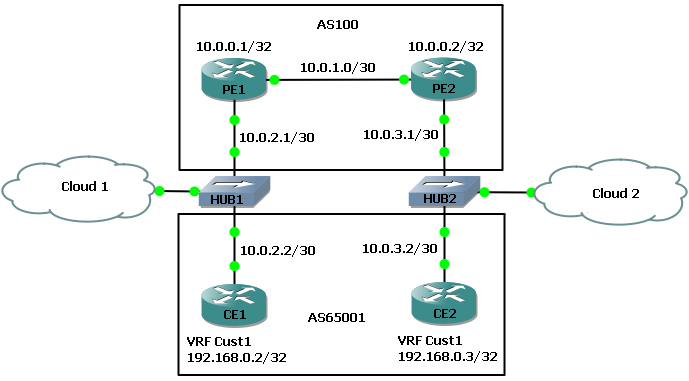 In this case 4 ARP replies were sent from CE1 immediately as it received each gratuitous ARP from the Ubuntu VM.